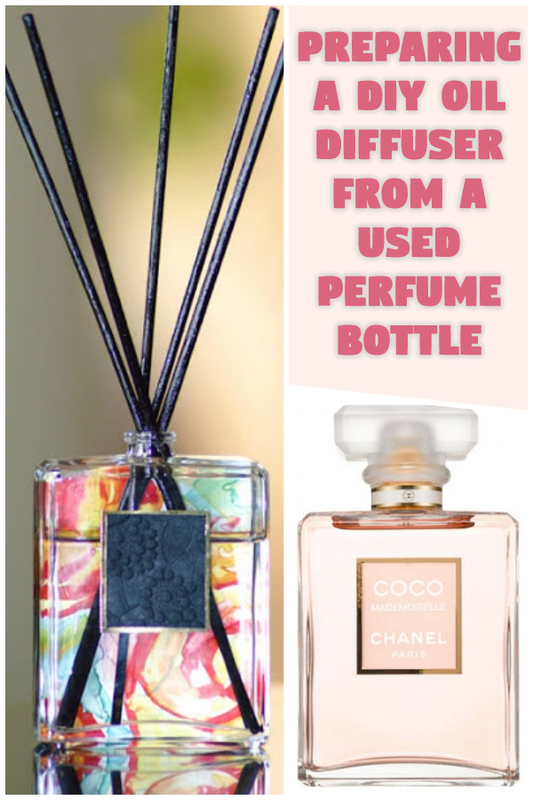 Now is the time to raise your senses and offer that used perfume bottle a new life and change it into a completely different thing that you will need time and again. I could not find any other better container than a perfume bottle to craft a diffuser. The elegant shape of perfume bottles offers us freedom of showing creativity and decorating it with some great stuff. Though the perfume bottles are originally designed to release the fragrance and spread pleasing aroma across the property, you can also turn it into another useful thing. You can prepare a personalized diffuser from that bottle that will always smell sweeter. So, do not fritter away any single minute and start crafting now. Crafting the DIY Oil Diffuser from a used perfume bottle is pretty simple. All you need to do is follow every step carefully and be a little creative to craft a bit different oil diffuser. So, let’s get started now. 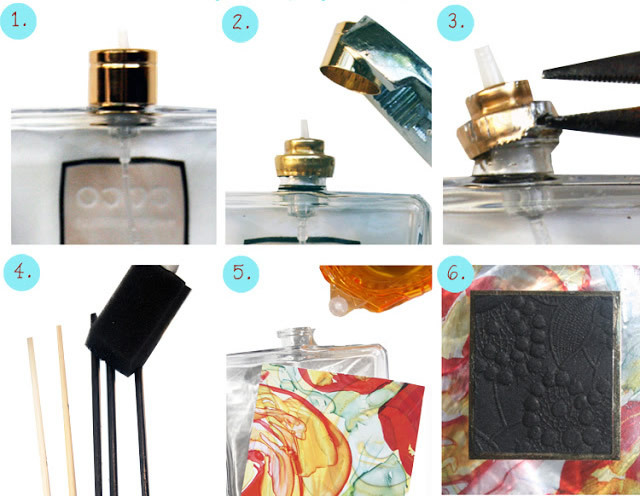 Start the crafting process by removing the spray nozzle of the perfume bottle. Use the pliers to grab metal piece over the neck of the perfume bottle and then remove it gently. As you can see, there is still another metal piece is left to remove. It might be attached to the bottle’s neck. In order to remove it, you should first insert the tip of the pliers under the metal piece and then slowly start to pry towards the upside. (Note: all the perfume bottles are not the same and therefore you may need to spend some extra time while working on the remaining metal piece. Use the X-Acto knife or scissors to remove this metal piece if the pliers do not work well. Apply the right tool and the right technique and that metal piece will get loosened. Now again pick your pliers and pull that metal piece. Switch to the next step once that metal piece is no longer attached to the bottle. Apply the acrylic paint on the skewers. Glue some tape to the background paper and then wrap it across the backside of the bottle. Now include diffuser oil and add sticks. The craftwork is done and you can successfully create an appealing oil diffuser.